Palagin A.V. An Introduction to the Class of the ransdisciplinary Ontology-controled Research Design Systems. P. 3-11. Rytsar B.Ye. A Simple Numeric Set-Theoretical Method of the Logic Differential Calculus. P. 12-23. 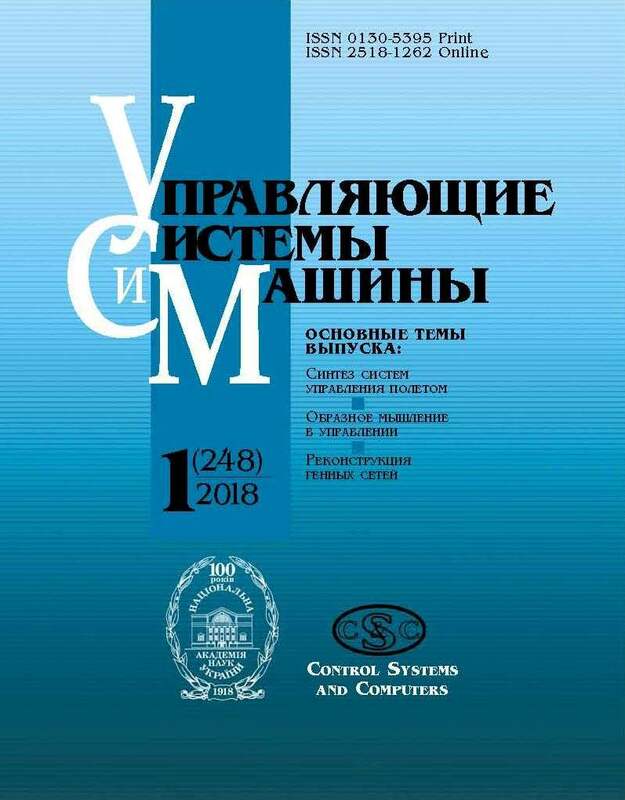 Gritsenko V.I., Fainzilberg L.S., Kravchenko A.N., Korchynskaya Z.A., Orikhovskaya K.B., Pasko V.S., Stanislavskaya S.S. Cognitive Graphic Images in the Problem of Estimating the Body’s Reaction to the Load by Phasegraphy Method. P. 24-33. Barkalov А.А., Titarenko L.A., Vizor Ya.Ye., Matvienko A.V. An Optimal State Assignment for the Combined Automation. P. 34-39. Bagirova S.A. Analysis of Queuing-Inventory Systems with Instantaneous Service and Variable Size of Order. P. 40-47. Ilnitskiy A.I, Burba O.I., Pasichnyk O.O. The Statistic Characteristics of the Information Sources Emission Indication During Radio Monitoring of the Telecommunication Nets. P. 48-58. Levykin V.M., Chalaya O.V. The Model of Knowledge-Intensive Business Process for the Process Mining. P. 59-66, 72. Bodjanskiy Ye.V., Strukov V.M., Uzlov D.Yu. The Task of the Proximity Estimation of Multidimensional Objects of the Data Analysis. P. 67-72. Moroz O.H. Sorting-Out the GMDH Algorithm with the Genetic Search of Optimal Model. P. 73-79. Lytvyn O.N., Drahun V.V. A Method for Finding the Spatial Distribution of the Slowness on the Basis of the First Approximation in the Mine Seismic Tomography. P. 80-88. Systematic Index of Articles Published in 2016. P. 89-91.